There will be no argument that Contacts on our iPhone is the most important and valuable part out of so many apps. And to keep contacts in iPhone memory only is definitely not worthwhile to promote. How should we deal with the contacts on iPhone? The best way is to back up iPhone contacts to computer so that you will have your contacts when your iPhone is damaged or lost. But how to back up iPhone contacts to computer? Here the article will offers four options which can back up iPhone contacts to PC/Mac according to different demands. iMyFone D-Port iPhone data exporter is a good choice for you to back up iPhone contact onto Mac or PC with maximum flexibility. It owns some excellent features in backing up iPhone contacts to PC/Mac. Back up 18 types of iPhone data to computer with a few clicks. Selectively back up your data according to your demand. Preview before backing up to save your contacts accurately. Easy operation is available for even computer illiterate. 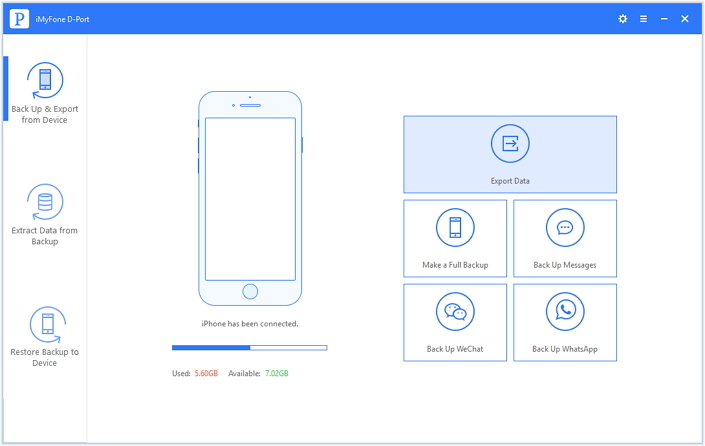 Launch this program, select "Back Up & Export from Device" from the 3 options of the left penal, then click "Export Data"
Choose "contact" from the file types and connect iPhone to scan the contacts on iPhone. iMyFone D-Port will search and list all your contacts for your preview. Selectively choose contacts you want and click on "Export" and pick an local path to store contacts for your use. iMyFone D-Port is flexible. And it has received innumerable positive reviews from customers. It costs some money, but totally worthy. iCloud is a good choice to back up your iPhone contacts and it offers the possibility to download your contacts as vCard on your computer. See the steps below. To get started, head to iPhone "Settings" and tap on "iCloud". Toggle "Contacts" setting to "On" and tap the "Merge" option. 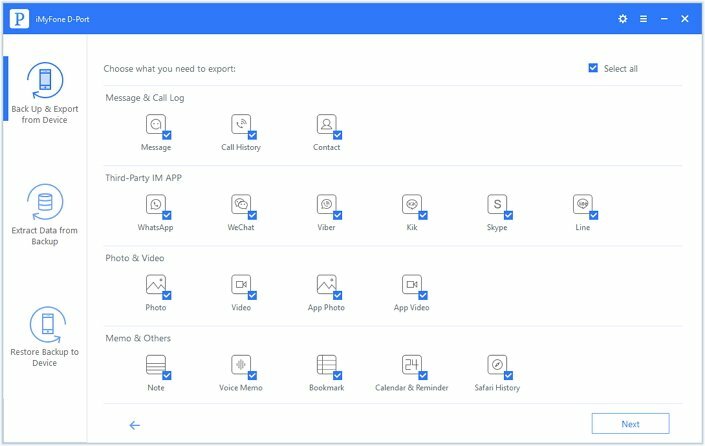 Click on the "Contacts" icon. When your contacts list open, click on the gear icon on the bottom left corner, choose "Select All" and then click on "Export vCard. This option is free, which is we prefer. However, sometimes users feedback that they fail to download the vCard due to the network speed or other reasons. Anyway, still worth to try. iTunes also allows you to backup iPhone contacts to computer by your own. And we know that Apple would like we use it to backup iPhone regularly. Of course, the facility offered by Apple is free, also. And it will allow you to restore all of iPhone's content back to iPhone. But note that this option will not save contacts in a unreadable form. 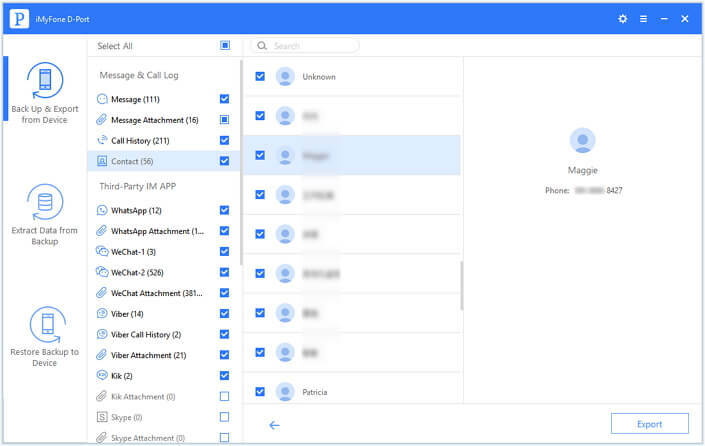 Apple also gives you the power to backup contacts to some email address, like Gmail, Yahoo mail, Hotmail, Exchange, and others. Here we take Exchange as example. Follow the guide. 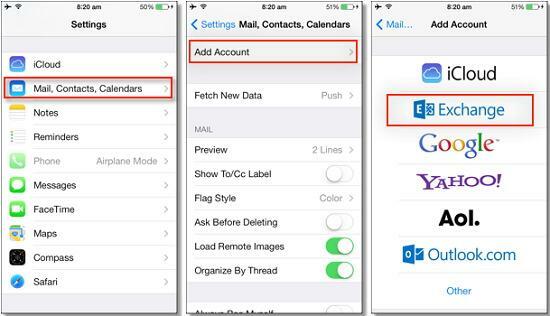 Head to Settings on your iPhone and find Mail, Contacts, Calendars. Tap on Add Account…. and many email addresses are available. Choose Exchange. Fill in information about your name, email account, passwords and description. Tap Next and make sure contacts icon is turned on. Click Save to back up your iPhone contacts to Exchange. Users might use different kinds of emails. And this option thoughtfully offers so many email choices for us. And it is free, also. So just ignore the incontinence when you add your email information. 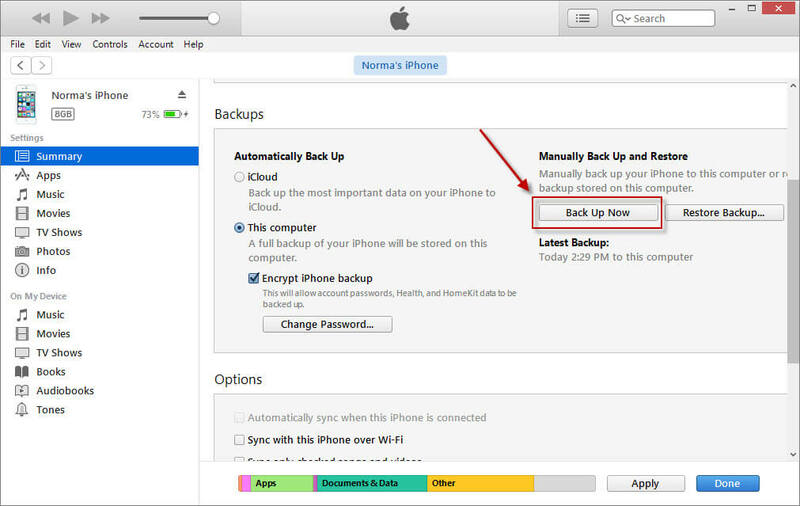 Here we offers four options and their pros and cons for users on how to back up iPhone contacts to computer and I hope anyone of them is helpful for you. Most of them are free and iMyFone D-Port iPhone data exporter offers the free trial version for users. Just try them all to backup iPhone contacts to PC with the rear secure. after clicking export vcard, it didn’t export all my contacts to my computer. What was I doing wrong? sometimes, the vCard exporting is effected by your network speed and you can try one more time to export your contacts.